February 2019 marks Francisco Reynes first anniversary at the helm of Naturgy. During his first year, the CEO of the energy multinational company has set a new course for his corporation, reinforcing its electric profile and investing in profitability and shareholder returns. After working as CEO in Abertis from 2010 to 2018, Reynés took command of the multinational company and radically changed its management structure, merging the positions of president, occupied by Isidro Fainé, and CEO, in the hands of Rafael Villaseca. 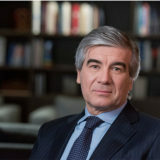 Following months of studying the operation of the gas company, Francisco Reynes reduced the size of the Board of Directors to 12 members, removed the Executive Committee and shrank the number of business areas, in order to simplify the company’s structure and create more self-sufficient areas. After these internal changes, it was the turn of the external image of the company. 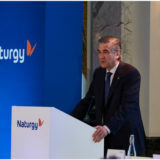 In June 2018, during the Annual General Meeting, and following 175 years of history under the name “Gas Natural”, Reynés announced that the company would be renamed “Naturgy”. This was not only intended to be a more concise and international denomination, but also a mission statement: the company wasn’t just a gas company anymore; it was an energy company. But the truly new course for the multinational was revealed a day after, in London, during the presentation of the Strategic Plan to 2022. Reynés announced a dividend increase of 30% in 2018, and up to 59% in 2022, a contributing factor for Naturgy’s boost in IBEX 35 since then. Even though its main shareholder continues to be CriteriaCaixa, with 25.5%, funds have significant weight in the multinational’s capital, accounting for 40.1% of the shareholding, of which 20% corresponds to the GIP fund and the other 20.1% to the CVC venture capital fund, in the hands of Corporación Alba. Another key factor for the group’s 2018 results was revealed on the same day, after Reynés made the decision of implementing the wide devaluation of a series of electricity-generating assets, such as nuclear plants, coal plants and combined cycle plants. 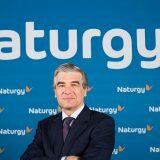 This devaluation, amounting to 4,851 million euros, caused the company to close 2018 with a loss of 2,822 million euros, in comparison with its profit of 1,360 million euros in 2017, but also allowed Naturgy to start from scratch. 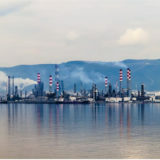 In this context, Francisco Reynés declared that he wanted a multinational company more heavily invested “in electricity and services”, as well as reducing its dependency on gas. Accordingly, Naturgy requested the government to close the coal thermal plants of Meirama (A Coruña), Narcea (Asturias) y La Robla (León). These facilities must stop operations by June 2020. 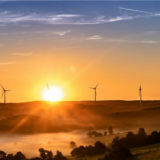 Parallel to this, the company announced the allocation of 1,000 million euros until 2022 to boost its renewable energy business in Spain, as well as reinforcing its presence abroad, with a wind farm in Australia and two photovoltaic projects in Brazil. Francisco Reynés’ plan involves focusing in the profitability of the company, whose electric business should grow from 40 to 50%, according to the CEO, who also aspires to a 70% business dependency on regulated activities, compared to the current 52%. Another remarkable achievement of Reynés’ first year leading Naturgy is the gas supply contract renewal with the Algerian company Sonatrach, a key agreement for the Spanish company. Even the Annual General Meeting calendar bears the mark of Reynés; this year it will take place on March 5th, months earlier than in previous years.